Yep, when I was in Europe the first time, I bought an LGB starter set in Amsterdam. I still have it, and got into G scale stuff for a while. I had the usual mix of various nation's rolling stock, and was going to build the layout I have today in G scale but never got to it. The crushing cost of almost anything in G, as well as the room it takes, eventually swayed my take on things and I sold all but that starter set off over ten years ago. On30 turned out to be way better for me. Well, someone is going to have to work their class off to get those looking decent! Last sentence mentions duty. I've ordered a handful of items from Great Britain (nothing substantial), and have never had to pay a duty. Is there a dollar threshold above which a duty applies? How much is it? 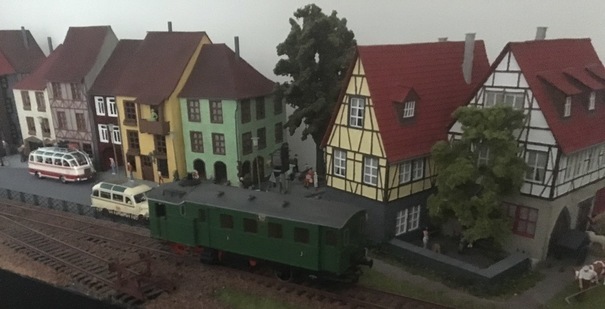 Fleischmann Magic Trains show up on Ebay occasionally, they have Oe German freight & passenger cars. They also made a couple of nice little switchers - diesel & steam. I have the diesel, looking for a steam one. 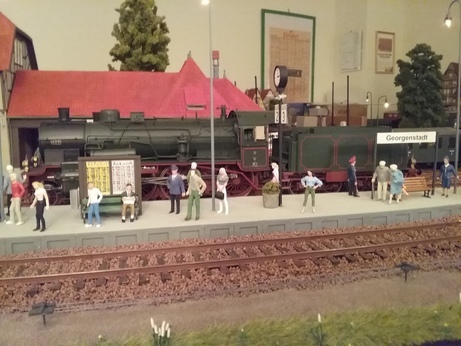 I just bought my first N Scale Graham Farish Loco on Friday. Runs great as ever. British Rail of course. 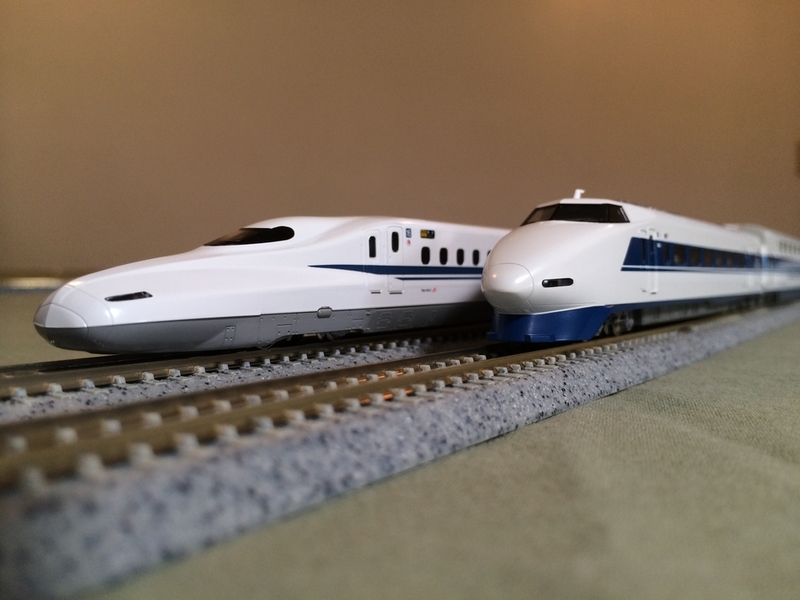 Lenz and Kiss products for O scale (fine scale) are of excellent quality. Can't wait to see the E03 and 103! 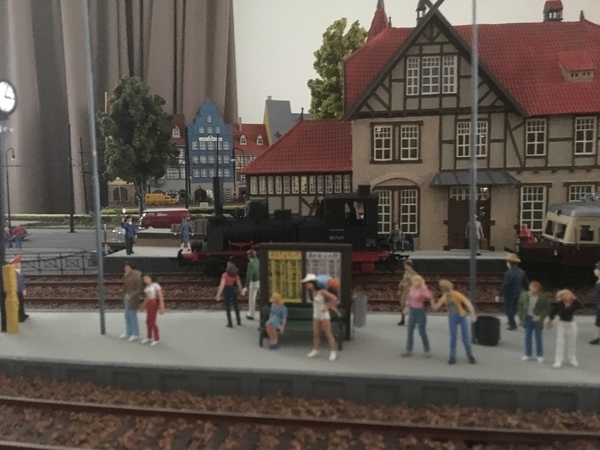 As you know, Märklin is producing the DB class 103 in scale one (exactly 1:32) with many nice digital features for indoor usage and Piko announced the slightly bigger DB Baureihe 103 in G scale (approx. 1:29) with some compromises and less features for outdoor usage. 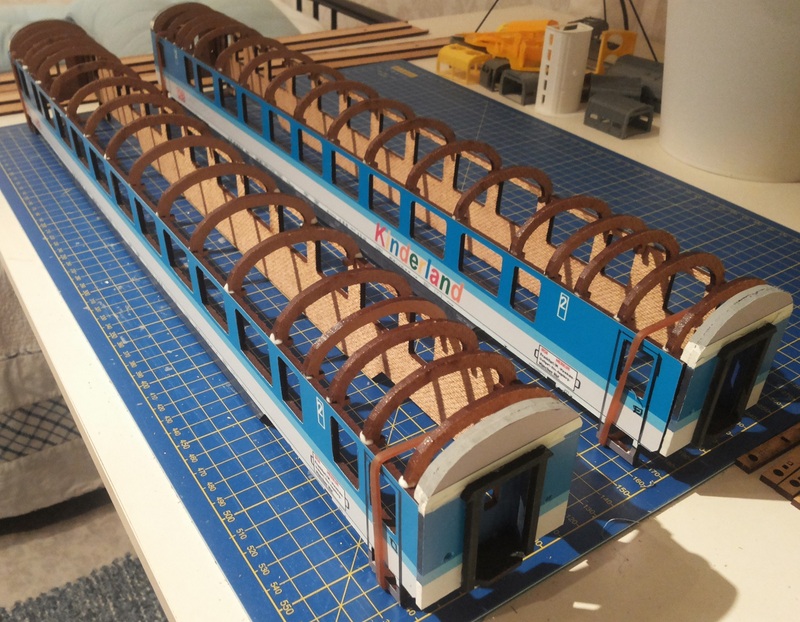 But no manufacturer has ever produced the DB E03/BR103 in O scale (1:45) or S scale (1:64), so I am volunteering to do both and I have found also the suitable mechanism, motorization, pantographs, etc. for them. This is one of my summer projects to be done in the workshop and paintshop. I thought Lemaco made the 103 in 0 scale? Can you share with us the Lemaco catalog link referring to the 103 ? This is a great thread. When I lived in Connecticut I had a lot large enough for a LGB assortment of swiss and german protoypes. I could even run them from the back porch in rainy weather. 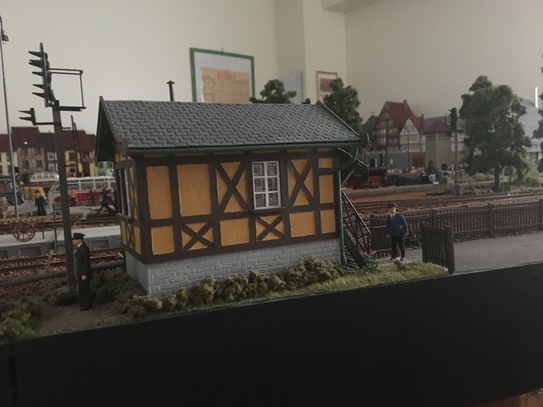 I don't have that space since we live in Boston now but we like to collect early (turn of last century) European (Bing, Basset-lowke, etc) 1 gauge electric and live steam trains. We are slowly getting into vintage gauge 3 collecting as well but those are fewer and further in between. I also love European tinplate, especially French items, such as French Hornby, JEP, and others. Everyone once in a while I post on the weekly tinplate thread which I thouroughly enjoy reading. Me too, my most favorite Hornby Hachette reproduction item is the French stockcar WAGON A BESTIAUX with extremely detailed printing on the tinplate surface. Yes, thanks, I have seen them. The brass models are more for the collector's shelf and less for the grandchild's playground. Unfortunately Lemaco, Fulgurex, Micro-Metakit, Wunder, Demco, etc. are above my budget, my wife would kill me... therefore I scratchbuild the working class version of the E03/103. Good luck with your interesting modeling project. 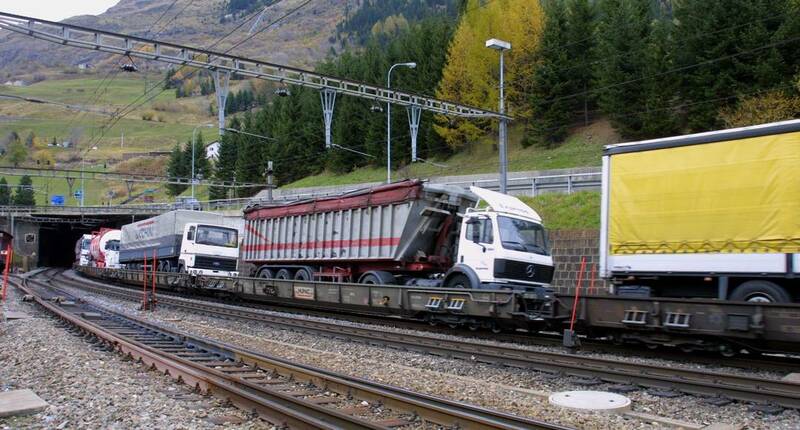 Here are few examples to copy in proportion the anatomy of those European flatcars. 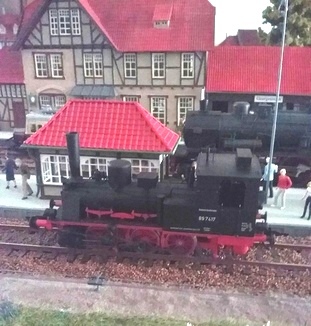 Daniel and Fred on the Tinplate Forum frequently share some exquisite European models, often running electric, clockwork and live steam on Chris Lonero's weekend photo thread. I have a question for those of you who have the MTH Duchess Of Sutherland. 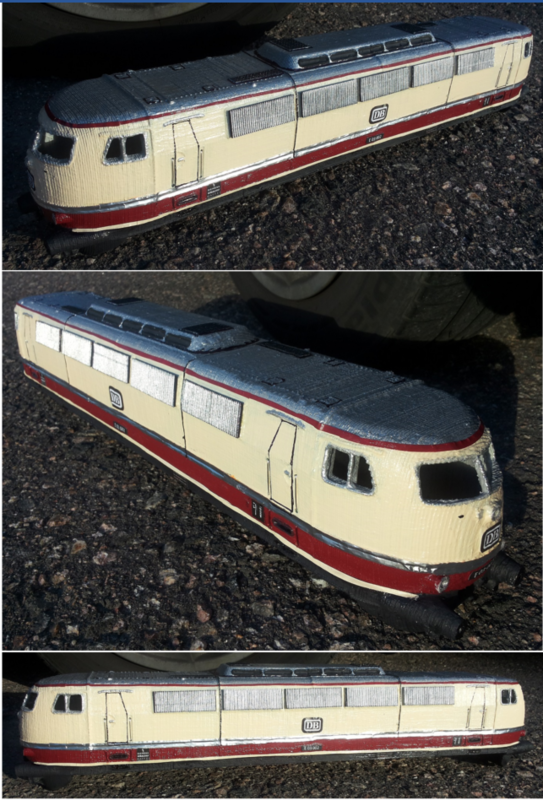 Did your loco come with smoke deflectors? I have the green one and the blue one (Duchess of Atholl) and they both came with deflectors. But, this is the red one. I was away from the forum for a long while Jim. I was pointing out that much of Betanusigmaphi's tin plate roster he shares here is handmade by him often using the cheapest methods possible by choice vs necessity. It reflects the spirit and tenacity of early RR modelers well imo. I find it impressive and very worthy of praise of effort, even if the result doesn't meet some folks personal layout standards. I figured "Class" was a bnsp joke on your part, but maybe I don't have any idea what you're talking about as well. I have 20-3368-2. As far as I remember it came without smoke deflectors, which is correct since it has a single chimney; The real Duchess of Sutherland loco received smoke deflectors a couple of years after it received a double chimney. 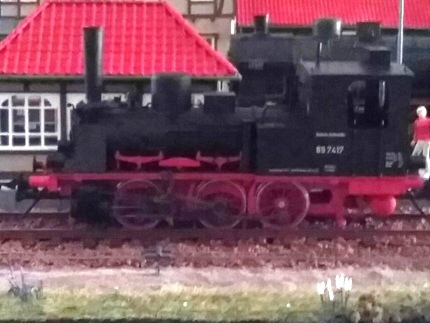 Whether MTH also made a double chimney version of the LMS red Duchess I do not know. The pictures on the MTH website seems to be incorrect anyway; here is my version. "As far as I remember it came without smoke deflectors, which is correct since it has a single chimney; The real Duchess of Sutherland loco received smoke deflectors a couple of years after it received a double chimney." That was pretty much my experience, too. And also the rather cavalier attitude that many manufacturers were taking toward what actually constitutes "G scale." All too often, I'd find that anything running on #1-gauge track was considered "G scale" (or, even worse, just "Large scale), regardless of the scale it actually was. Then, when we moved into another house that didn't have room in the basement for a G layout, it was the end of the line for me. I still have my G scale (1:22.5) equipment packed away, but for the past fifteen years or so, I've been in 3rs and haven't looked back. In that you are correct! Well, I have not posted here for a while. I have given Georgenstadt a real fine cleaning and have been updating some scenery. Santa just delivered the Lenz T3/BR89. Just put her on the track and tested her out, just wonderful. Here are a couple of photos, ex use the quality, but aken with my IPad. Thought I would add a few more photos of Georgenstadt, hope you like them. 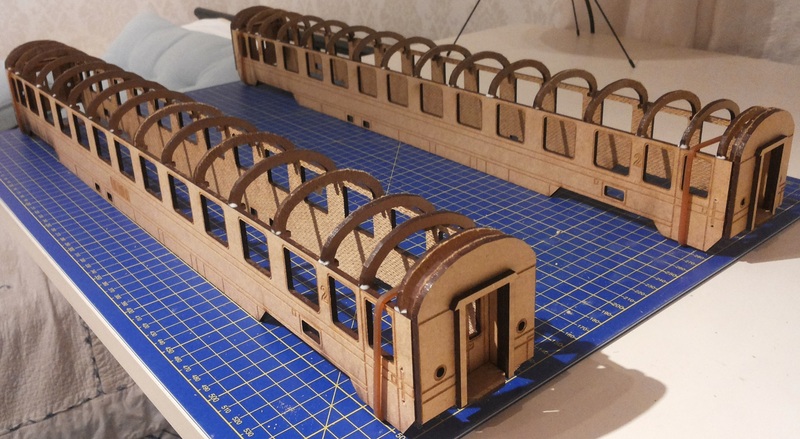 On the below video is demonstrated how I lasercut my own modern era EuroFima-type passenger coaches for EuroCity express trains for Märklin 1 scale. 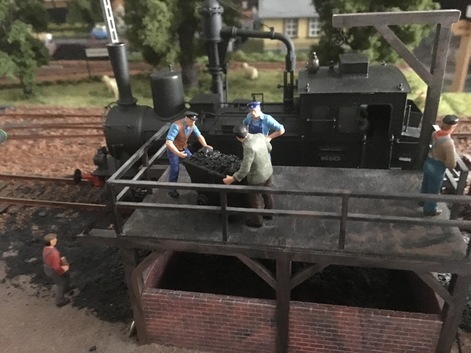 The design has been scaled down for O scale, which can fit to the MTH Taurus. Later I do it also for S scale. Many Continental European state railways operate this type of coaches in multiple variations, for instance with different painting schemes, window arrangements and door shapes as 1st class, 2nd class, mixed class coach or as bistro/buffet/restaurant car. 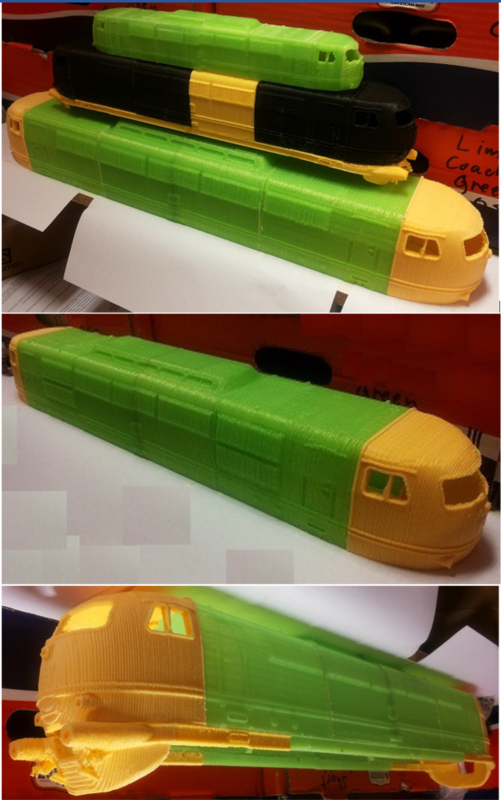 The same design can also be scaled up for G scale to run on LGB tracks. Also want to add in a photo of my Gebauer P8 in KPEV colors. I have a real soft spot for anything Prussian. And one last photo for today. 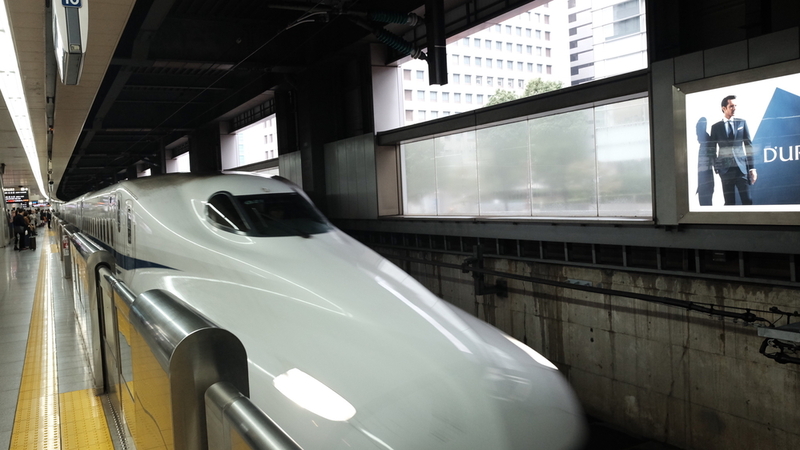 We spent a very enjoyable vacation in Japan using a rail pass to travel from Tokyo to Yokohama on local and Shinkensen trains. 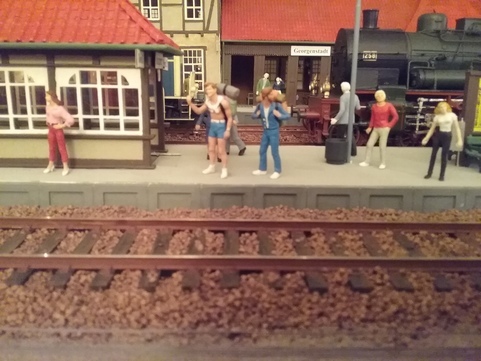 Purchased a few N Scale Kato sets and set them up on a table top once in a while, nice track and smooth running trains. Planning to incorporate a loop on my upcoming O Gauge layout. If MTH or somebody makes an O Gauge version I’d buy it!